Internal documents related to Apple’s patent spat with Samsung sees the Cupertino company acknowledge consumers want larger screen smartphones—above the 4-inch threshold we’ve seen Apple stick to the past few years. It’s one thing to hear rumors Apple might upgrade the iPhone’s display size to 4.7-inches, and possibly even 5.5-inches. 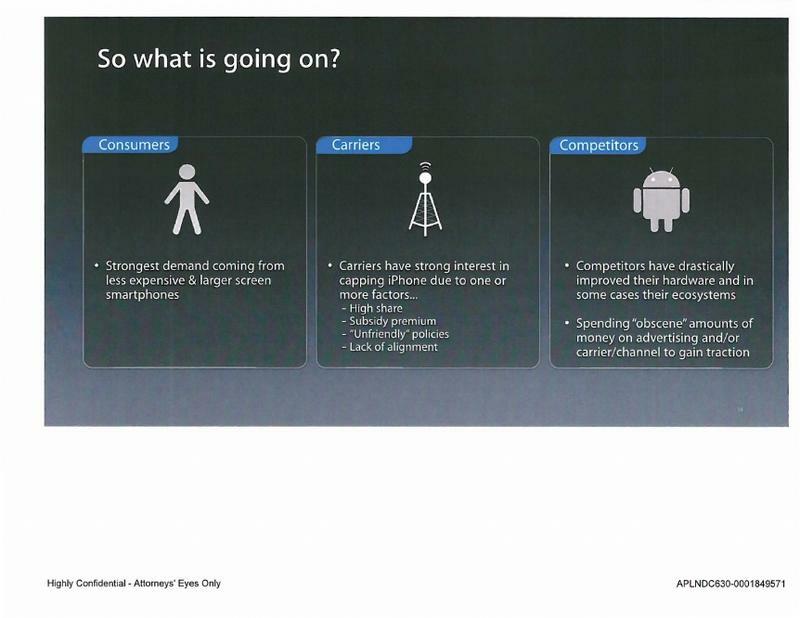 It’s another thing when you see the company straight up say strong demand is in the phablet market. 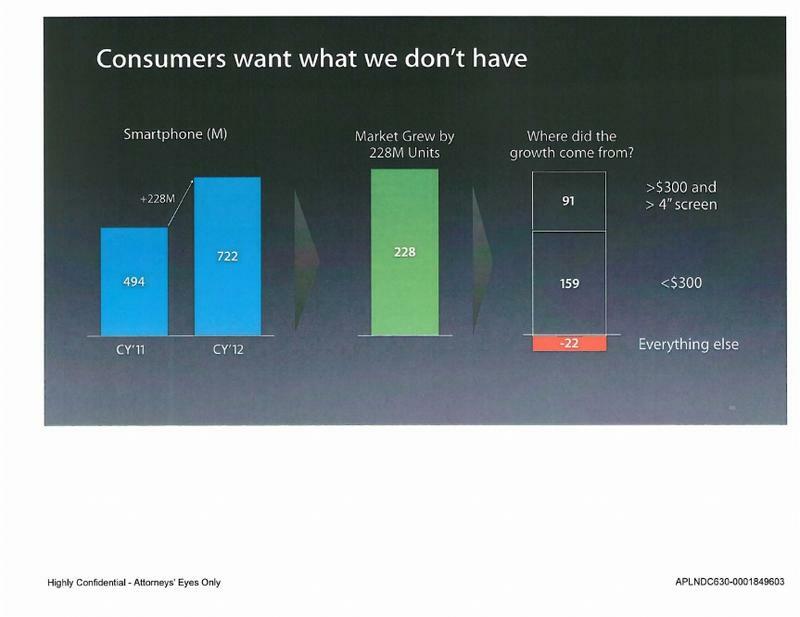 The documents, via Recode, show off Apple’s possible planning for 2014, and sees a vulnerable company outright say that “customers want what we don’t have.” That being phones with larger screens. The same document also mentions Apple’s complete lack of cheap smartphone hardware; many expected the iPhone 5c to fill in that gap, but the device is still fairly expensive off-contract, and therefore out of reach for many entry-level consumers. Apple acknowledging these facts (not publicly, of course) seems to be a declaration that its smartphone strategy needs to change. With no really cheap handset and seemingly every Android device larger than the 4.5-inch threshold, Apple doesn’t really have much room to grow. In a separate chart, Apple even tracks the recent growth of the mobile market—the larger screen and entry-level markets have gone up, while everything outside of that has declined. 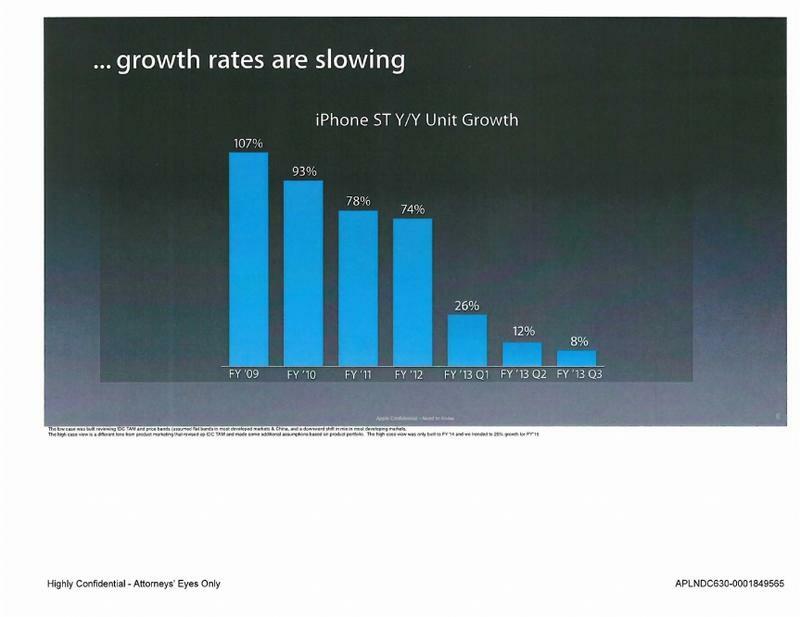 Apple is in that declining camp. So, it seems, despite data suggesting Apple’s iPhone is doing well, there seems to be concern among Apple executives about where the company is headed. However, we’re expecting Apple to make a complete shift in strategy when the next iPhone hits, so the problems of larger screens and cheaper phones could be addressed. It’s always difficult to trust a rumor regarding an unreleased handset. But seeing as Apple is acknowledging a change needs to be made, it could be our biggest hint yet that the iPhone will change in a big way later this year.